Bought this at an auction and need help IDing it. 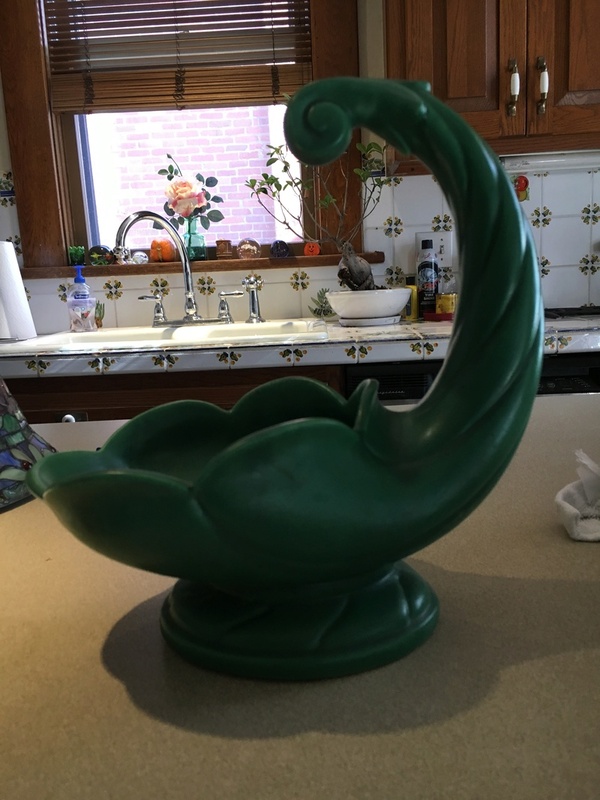 It’s a large green cornucopia with the tail end higher than the opening. 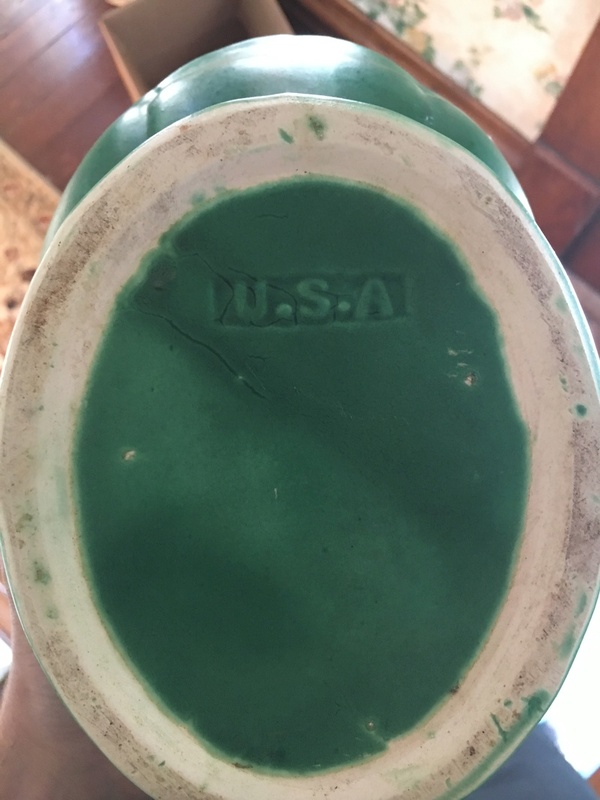 It’s stamped only USA at the bottom with a box around it.